Every family approaches a time of reckoning, when parents near the end of life and their children must grapple with the inevitable, messy challenges of role reversal, caregiving, and mortality. 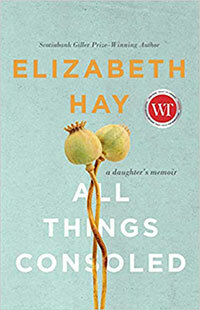 In All Things Consoled, Scotiabank Giller Prize-winning author Elizabeth Hay offers a poignant personal account of the complex dynamics and emotions that can ensue. Assuming the role of primary caregiver to her father and mother, Gordon and Jean, Lizzie “the so-called difficult child” bares witness as they lose their independence, and Jean sinks into dementia. Despair, love, resentment, insecurity, sibling rivalries, old grievances, family tensions and grace are laid bare as she comes to terms with that family caring. All Things Consoled won the 2018 Hilary Weston Writers’ Trust Award for Nonfiction. 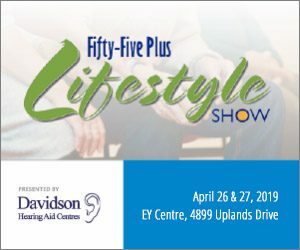 As a health reporter and columnist at The Globe and Mail for more than 30 years, André Picard has addressed a wide range of health care issues. 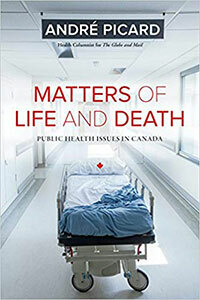 In his latest book, Matters of Life and Death, the respected journalist tackles the nation’s pressing public health topics. This collection of Picard’s most compelling columns covering a broad range of topics including Canada’s right-to-die law, the financial challenges of a publicly funded health system, appalling health conditions in First Nations communities, the legalization of marijuana, the social and economic impacts of mental illness, and the health care challenges facing transgender people. Picard provides the facts to help readers make knowledgeable health choices and serves as an advocate for those whose circumstances bar them from receiving the care they need. 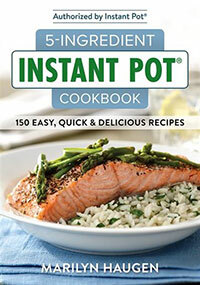 If you’re one of the millions of people who owns an Instant Pot® — named “the most popular and bestselling kitchen appliance of the last year” — here’s some fresh inspiration to use it.All 150 recipes featured in 5-Ingredient Instant Pot® Recipes contain a minimum number of ingredients and require little effort. Whether you’re a gourmet or a reluctant cook, you’ll find plenty of appealing options; there are delectable choices for every occasion and season. Recipes include cold-weather favourites such as Hearty Black Bean Soup, Pepperoncini Beef Roast and Buttery Garlic Mashed Potatoes,as well as more eclectic fare,from Chicken Caesar Pita Pockets and Ham and Cheddar Egg Muffins to Braised Herb Salmon with Asparagus and Chocolate Peanut Clusters. 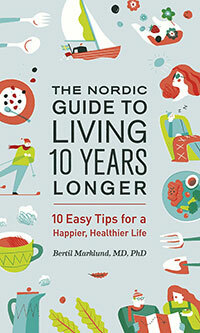 In this short, practical book, Swedish doctor Bertil Marklund provides a comprehensive guide to lifestyle choices, many of which are inspired by Nordic ideals about engaging in vigorous outdoor recreation, foraging for food such as berries, and getting enough sunlight. Other tips cover topics such as the importance of sleep and the negative impact of stress.We can all make some of the changes outlined in the book without completely rethinking the way we live. By providing sensible and realistic advice, Dr. Marklund gives us the power to make a difference in our own day-to-day lives, today and for the future. As a researcher,professor of general medicine,and specialist in public health, Dr. Marklund has also worked with patients as a medical practitioner for over four decades. Looking to get and stay fit on your own terms? 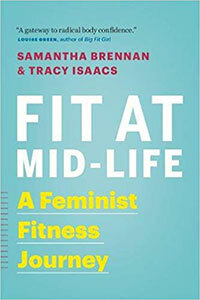 In Fit at Mid-Life, Samantha Brennan and Tracy Isaacs provide a practical, realistic path to getting active later in life.These women set out to become the fittest they’d ever been in their lives by age 50.To chart their progress, they created a blog, Fit Is a Feminist Issue, dedicated to the unique challenges they faced as women seeking fitness after age 40. Soon, thousands of followers were cheering them on.Women, it was clear, were looking for a new approach to fitness that would champion strength, health, and personal accomplishment over weight loss and aesthetics. Compiled by Pam Dillon. To source or purchase any of the books we have listed in this column; simply take the book title and author’s name to any bookstore for a special order. libraries may not carry all books listed on this page.